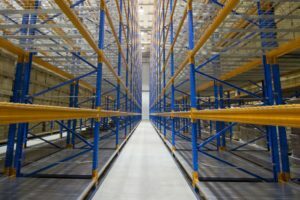 Warehouse Management: Which Racking System Do You Need? Warehouse Management: What Type of Pallet Racks Should You Use? These are among the most popular and commonly used pallet racks. The shelves use an upright and pair of cross beams, creating a multi-level storing pallet for your goods. It allows direct access to your goods, as well as the easiest to install. This storage method involves placing stocks on the floor in organised rows. Compared to other racks, it offers higher storage capacity because you can stack as many items on top as long as they can hold it. However, some of its disadvantages include it provides limited-to-no access to every pallet. Modular Storage Systems noted that this type of pallet racking system is exclusively designed to maximise the use of floor area you have. It is closely similar with block stacking, only the manner of loading from down up. The pallet above is responsible for holding the pallet below. These are highly recommended for products that are not time-sensitive. Sometimes, even with the help of pallet racks, you might still find it difficult to organise and keep track of your stocks. If any of those are your concern, then flow rack might be the right choice. Unlike a typical shelf, flow racks feature rollers or runways that allow your product to smoothly slide forward. This lessens the amount of work you need to spend for stocking alone. Flow racks are advisable to use for goods that have short shelf life and are mostly available in hospitals, stores, and selected warehouses. Having a systematic racking system can improve the workflow of your company. However, you must take note of certain considerations to find which will work best for you. Be sure you've carefully reviewed and understood all your options before choosing. Otherwise, you may suffer its consequences.